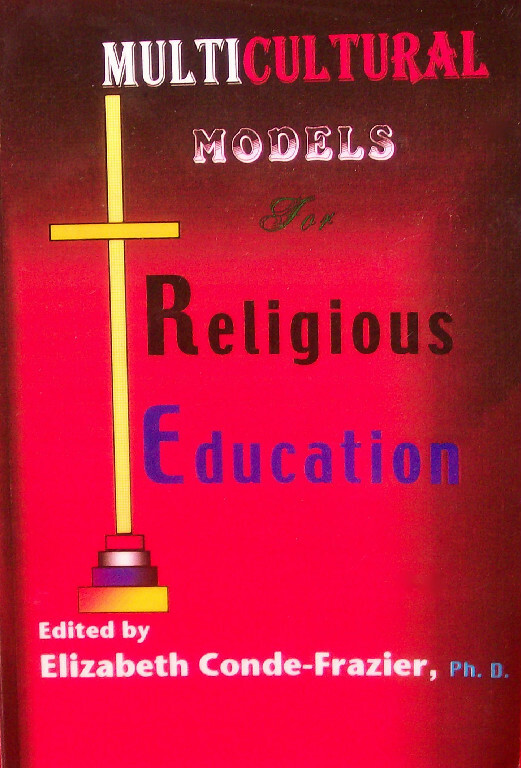 Liberation Theology and Education are sources for critical consciousness building that go hand in hand. Justice, Freedom, Equality and participation in democracy are part of the liberation issues that must be at the full front in the struggle. 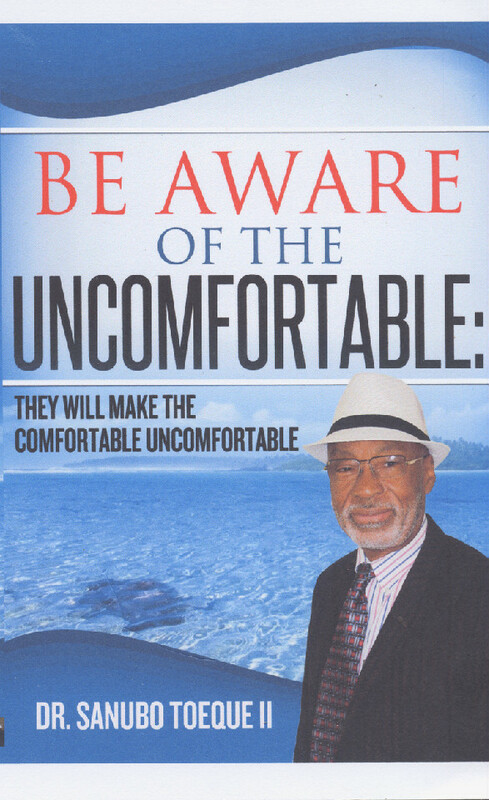 What Saye attempts to do here in his book is to employ similar kinds of pedagogical methodologies articulated by Paulo Freire, W.E.B DuBois, George G. M. James, James H. Cone, Martin Luther King Jr., Malcolm X, Marcus Garvey, Nelson Mandela and others to educate his readers about some of the profound issues surrounding Liberation praxis. Saye discusses the education and mis-education of our children. He proposes ways and means that can be employed as corrective measures to be used to reform and transform the spoiled and broken system. He deals with exploitation of humanity by other humanity for their self-aggrandizement and economic benefits. Mr. Saye Taryor does not only talk about slavery and human exploitation, he also provides hope and ways by which we can develop social and economic entrepreneurship collectively and individually to uplift the human conditions. This book is not about one or two things. This is a book of “potpourri” of very many issues dealing with very many human conditions dealing with religion, politics, healthcare, social and economic issues and many more that we face every day. In the final analysis, Saye suggests that we cannot overcome all these ills of society or even receive the benefits of the mounting technological innovations and achievements if we do not use our critical thinking ability to bring about the needed reforms and transformation that are necessary. He details as the backdrop for change, his 1Up Movement as a very creative and viable way of engaging this struggle. He suggests that we should not only understand the situations, and predicament we find ourselves in, but we should overstand the situation; knowing better than understanding. Anyone who is serious about bringing about innovation and transformation either personally or in a corporate setting must read Saye’s book. It is a Must Read. 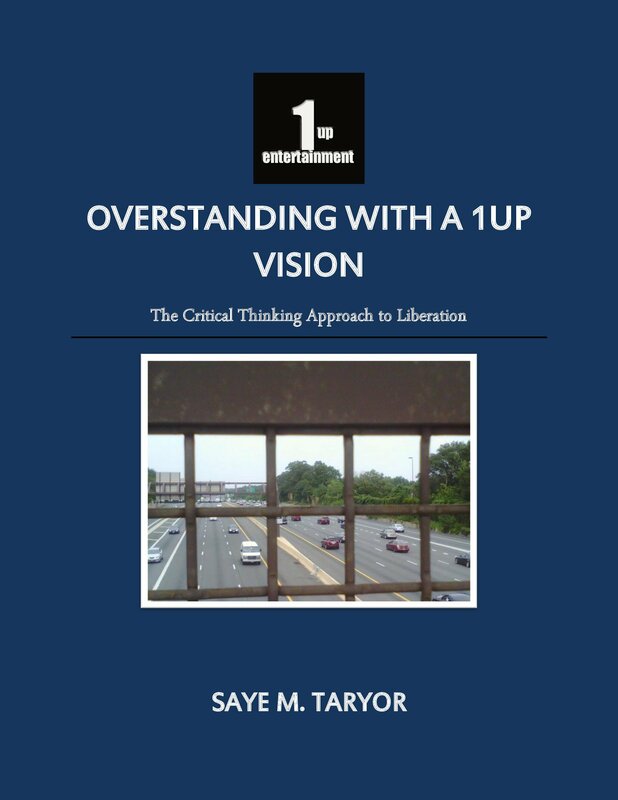 Saye Taryor’s book, Overstanding with a 1Up Vision: Critical Thinking Approach to Liberation will offer you some helpful information. THERE ARE NOT MANY BOOKS LIKE THIS ONE. 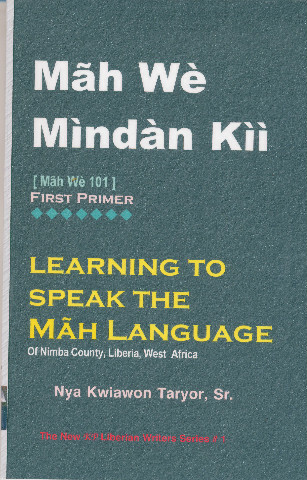 Among the 16 languages spoken in Liberia, the Mah language is one of them. It is spoken by the people of North Central Liberia in the region called, Nimba County and also by a segment of the population of the Republic of Guinea. 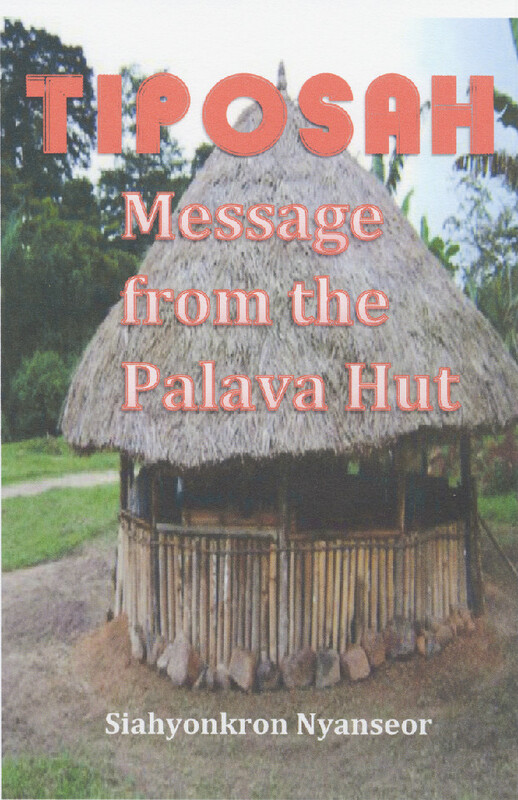 The author gives the readers some basic tools needed to read and understand the Mah language. You will learn the unique Mah Alphabets and their phonetic constructions. Simple grammar and words for vocabulary building can be found on every page. There are sentence constructions to help you learn to speak, write and have basic conversation. There are color photographs and illustrations to help the reader associate concepts with live images. This is a very unique and excellent book you will enjoy. 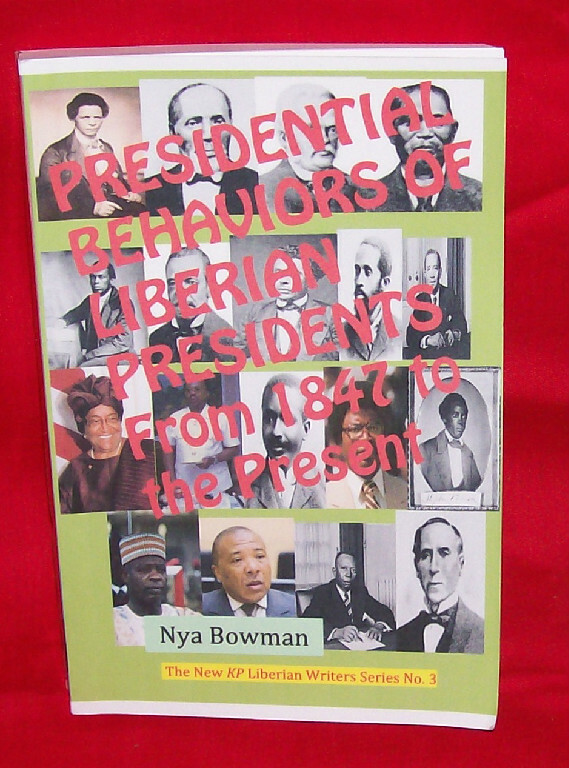 Presidential Behavior of Liberian Presidents From 1847 to Present is a massive collection of Liberian history. It examines the behaviors of Liberian Presidents from 1847 to present and provides a fascinating and informative account of decision making of each President during his tenure. It also includes biographical information about each leader, with emphasis on where they were born and how they leaped to the political scene. In a unique way this book draws from a variety of leadership theories to attach leadership styles to each of the presidents discussed. This book also highlights some of the conflicts that existed between Americo-Liberians and the indigenous population and the cascading effects such conflicts had on Liberians, leading to the 15-years civil war that destroyed the country. Key among the conflicts highlighted are Americo-Liberians attempt to maintain their political dominance and the native population’s demands for a more opened, inclusive and democratic society. 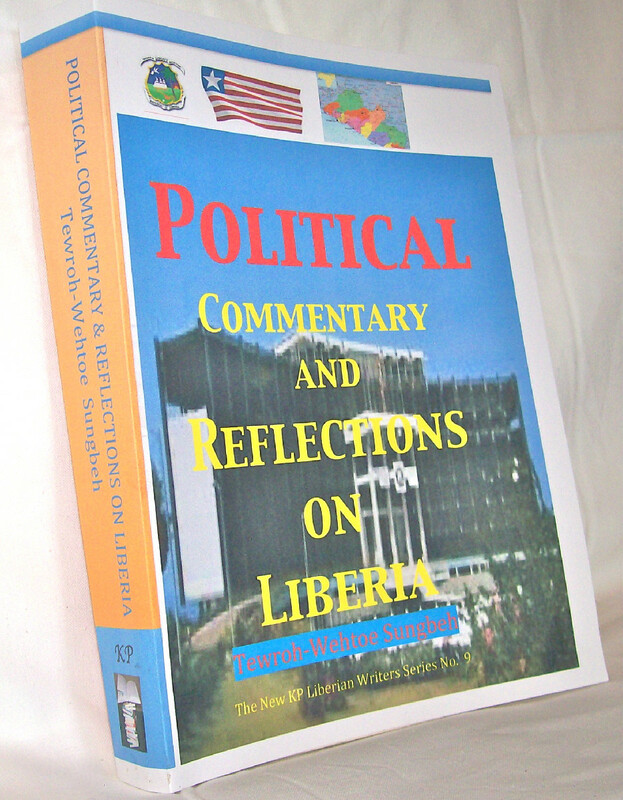 I should mention however that this book is not a comparison of Liberian Presidents, nor is it a book that discusses why some Liberian Presidents failed and other succeeded; rather, this book teaches Liberian history and provides readers with unique glimpses into circumstances that drove each President to make some painstaking decisions to preserve the unity, dignity and sovereignty of the nation. For example, this book will help readers understand why Governor Joseph Jenkins Roberts hurriedly declared independence for Liberia in 1847 and why Liberia lost huge chunks of its territories to Sierra Leone, Guinea and the Cote d’Ivoire. The book also discusses some of the issues that fomented the civil war. In short, this book is a tool-kit for understanding Liberian history and a primer for gaining insights into decision-making at the executive level of the Liberian government. 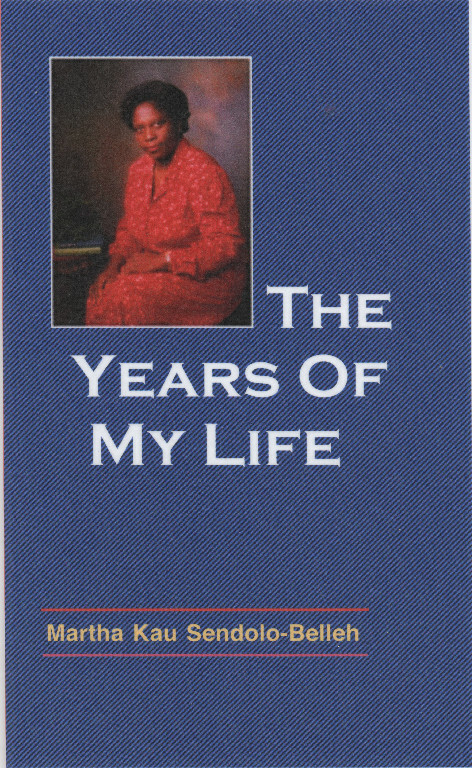 True to himself, Siahyonkron Nyanseor freely expresses his views in these well-constructed poems. The themes in TIPOSAH range from patriotism, nationalism, social and political issues, abuse of power to religion, civil war, and life’s experiences. They are not trivial themes! They are accusing, critical and implicating. Yet, the rage expressed in them is not about revenge. The voices of the characters are the expressions and thoughts of people who for so long thought of themselves as helpless. They work like hell like the proverbial expression: “Monkey work, baboon draw” that benefits only the rich and powerful in society. These abuses and hypocrisies are attributes of “man’s inhumanity” that are found in the pages of TIPOSAH. This is a children’s book, written by a 10 years old child. 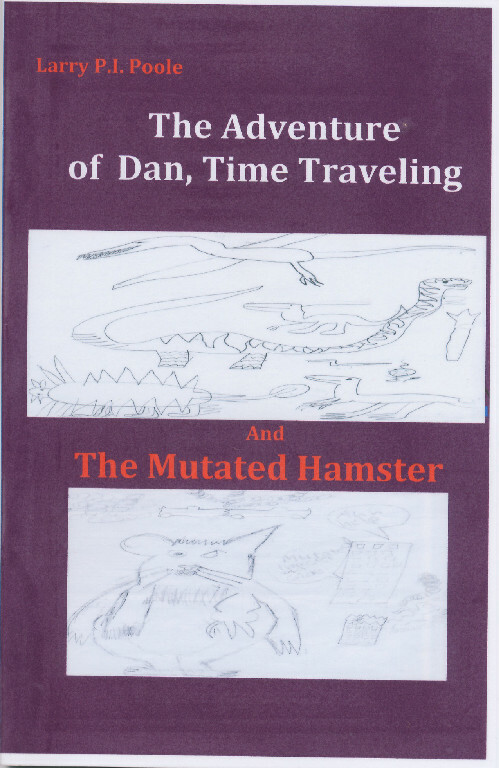 It consists of two stories; one about an adventure of time traveling machine and the other about a mutated hamster. The book is illustrated by the author and it consists of about 52 pages. its cover is paper back cover laminated with a couple of pictures of his art work. Larry writes from his imagination and he creates a story about traveling back in time and forward in time, looking at the future about how things could be in 67,000 years from now. The mutated hamster turns into a giant hamster and became very destructive that a friendly and good hamster was created to get rid of the destructive hamster. In this book, Mr. Soben argues that in order to bring about local, national or even international change, an arm struggle is not always necessary. What is necessary is to change the mentality of the people for them to gain new understanding, and new perspectives about reality. He considers Mr. Barack Obama a beneficiary of the change of mentality in America from slave holding of Jim Crow’s days to today where discrimination and segregation are now frowned upon. 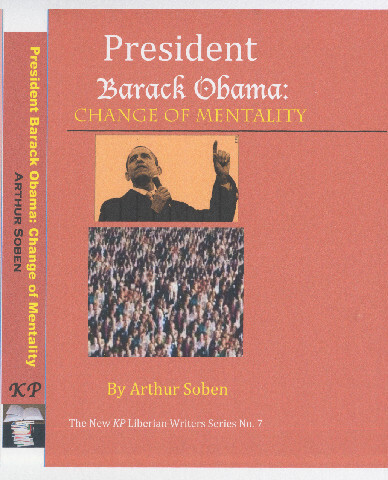 It is this change of mentality that has ushered in a Black African-American (in the true sense of the word) into the White House which Mr. Soben calls the “White and Black House.” When people’s mentality is changed, a quiet revolution takes place where there is no need for bloodshed or violence. Mr. Soben does not claim that there are no longer segregation and discrimination in America. He believes there are still places considered bastions of racism; while there are still many who practice racism. However, he clarifies the fact that because there is this sweeping Change of Mentality, Black people can do things they were never allowed to do; go places they could not go before; live in places they were denied to enter; and hold positions they were never permitted to hold. It is all due to the Change of Mentality. This is a very informative book. Mr. Soben details Obama and Michelle’s lives’ stories and navigates his readers through all the grassroots activities of Obama, his educational preparation, and his unbelievable journey from childhood into the “White House and Black House.” He painstakingly guides his readers through the two elections of Obama’s two terms presidency. Mr. Soben is very good at details and specifications. This is a MUST READ. Here is how Obama and Michelle did it. Ordinary people made it happen. You might learn some strategies for climbing the social ladder, not only in politics, but also on your job, in your career, at your school, in your organization, club or wherever you may be, where leadership matters. Mãhwè Mìndàn Kìì [Mãhwè 201] second Primer. 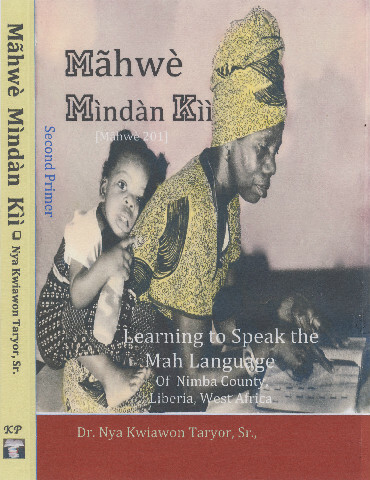 Learning to Speak the Mãh Language of Nimba County, Liberia, West Africa By Nya Kwiawon Taryor, Sr.